Finish off the season strong! It's been a legendary snow year, and there is no better way to cap it off than with a spring ski trip to Vail. Call (888) 343-7894 to speak with a reservations agent and inquire about our lodging offers & packages. Enjoy all that spring in Vail has to offer, including great snow conditions, après outdoors on sunny afternoons, and a fantastic lineup of events, including the Burton US Open or free concerts during Spring Back to Vail. Discover premier residences and hotels at any of the participating properties in Vail. Explore our current offers & packages online or call (888) 343-7894 to speak with a reservation agent. It’s been a momentous snow year an there is no better way to cap it off than to finish the season strong. 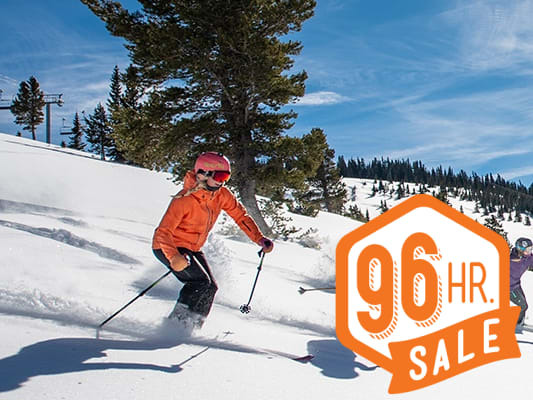 Make the most of the end of the ski season this spring and fit in more soft turns and warm days on mountain before the season's gone. At Vail Finishing Strong means warm sun-drenched days spent exploring endless Five Star Grooming in Vail's Legendary Back Bowls, capped off with afternoon après delight in the lively villages. Finish Strong in Vail with big spring events like Taste of Vail, Pink Vail and the grand finale, Spring Back to Vail, with free concerts and the World Pond Skimming Championships. Spring is almost here and it's time to soak up the best time of year in a place Like nothing on earth. From lift tickets to ski school and more, we've got you covered. Book online to receive the best prices and enjoy a hassle-free vacation.